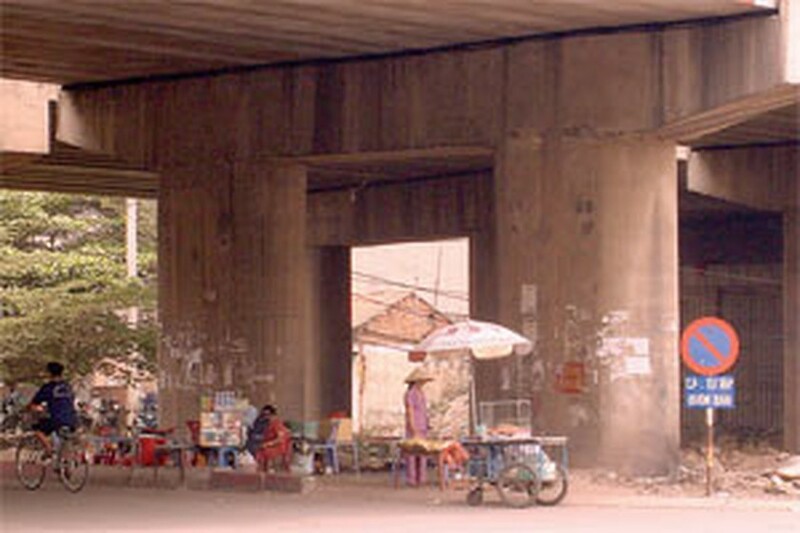 Ho Chi Minh City residents are annoyed by illegal vendors that have mushroomed under several overpasses, blocking traffic and hassling pedestrians. Many motorbike-taxi drivers park their motorbikes on the pavement at the corner between Xuyen A (Trans- Asia )Road and Highway 1A under the An Suong overpass in Thu Duc District. Many vendors gather here, converting the street into an impromptu flea market. The biggest casualty of all this is the traffic which cannot flow freely. Street vendors occupy a full one-third of several streets in District 12 and the outlying Cu Chi District. At the Ga crossroads in District 12, food sellers even have tables and chairs on the street to serve customers traveling by bus from and to the delta and central regions. 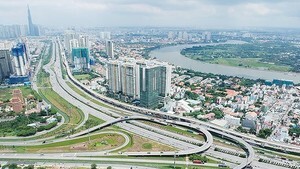 Several other overpasses, including Go Dua in Thu Duc District, Song Than in Binh Duong Province, and Linh Trung in Thu Duc District, face the same problems.